All you need to know about the attack on Assad: Schumer and Pelosi are applauding it! This is really all you need to know to determine if President Trump made the right move attacking Assad. By the way, Songbird McCain and Lindsey “Lightloafers” Graham have been singing the President’s praises also. 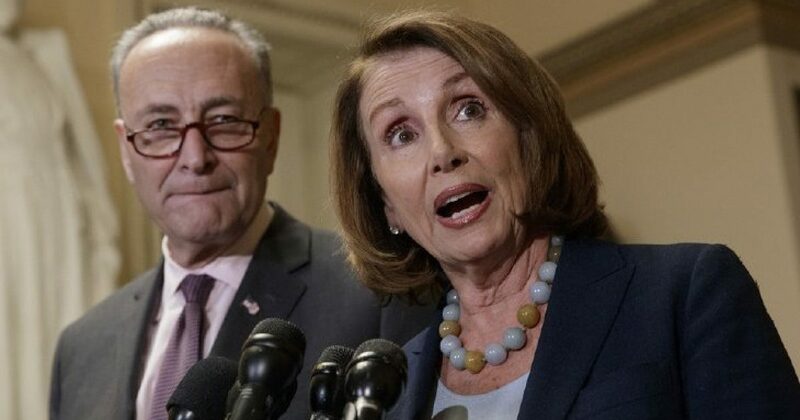 Senate Minority Leader Chuck Schumer and House Minority Leader Nancy Pelosi broke with fellow Democrats who had criticized President Trump’s military action against Syria to endorse the move late Thursday, reports the Washington Examiner. “Tonight’s strike in Syria appears to be a proportional response to the the regime’s use of chemical weapons,” Pelosi said in a statement. Following the missile launch at 8:40 p.m. Thursday, some Democratic lawmakers criticized Trump for not asking Congress’ permission before choosing to launch 59 Tomahawk missiles at an airbase in west Syria where it’s believed Tuesday’s chemical weapon attack originated.